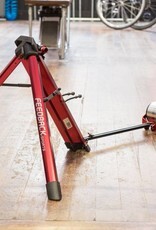 Feedback's Omnium Portable Trainer is a quintessential tool for those that are traveling and just need something simple and reliable. 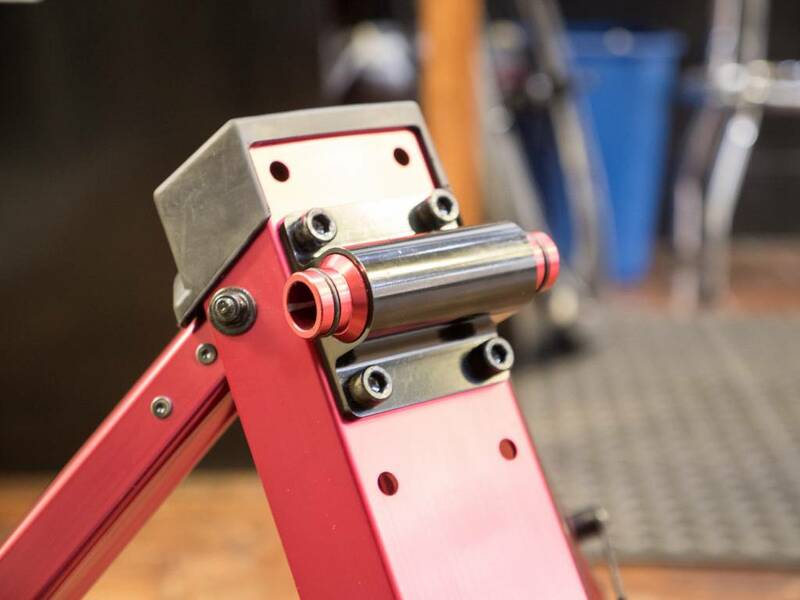 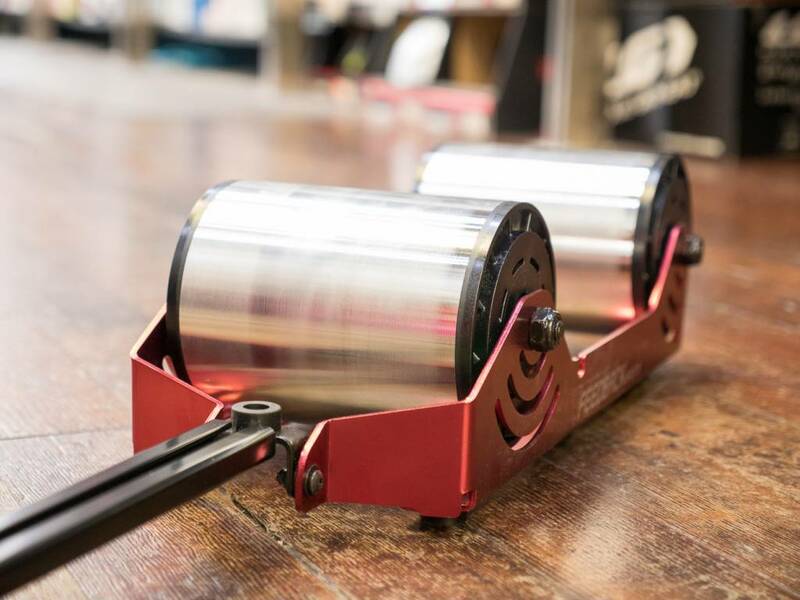 Whether you are at home in the pain cave or warming-up for your race, the no tool assembly allows you to quickly get on your bike and start pedaling. 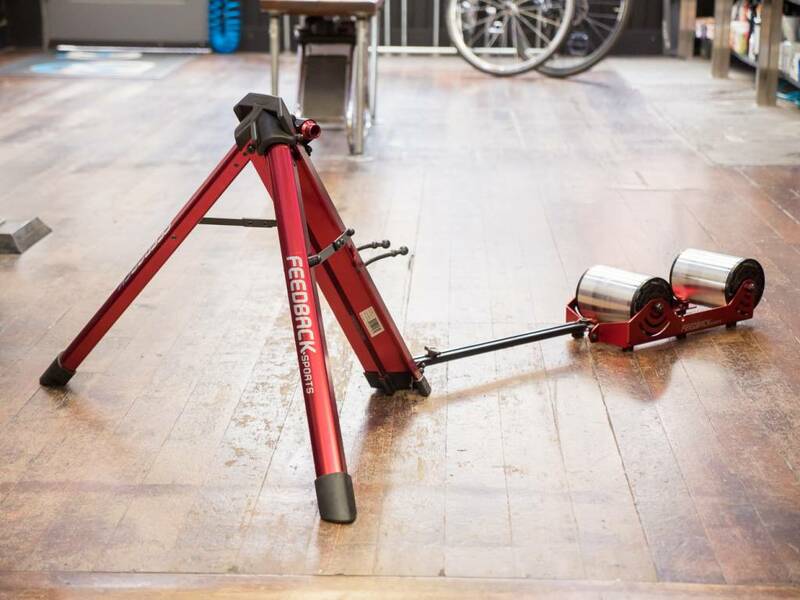 The heavy duty tote bag, included, provides a convenient way to store and transport your trainer while keeping it protected. 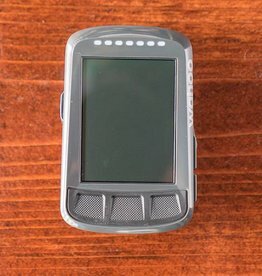 Pair this with some third party sensor and you able to join a virtual ride on Zwift and utilize multiple other training software. 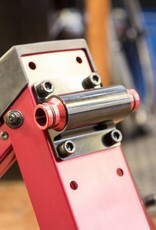 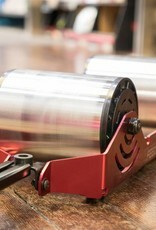 The Omnium is compatible with QR and Thru Axle forks.